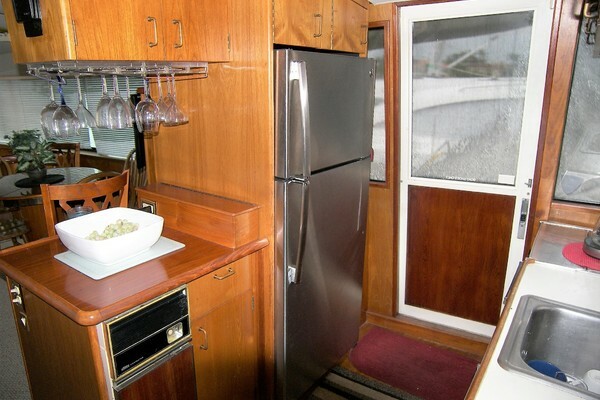 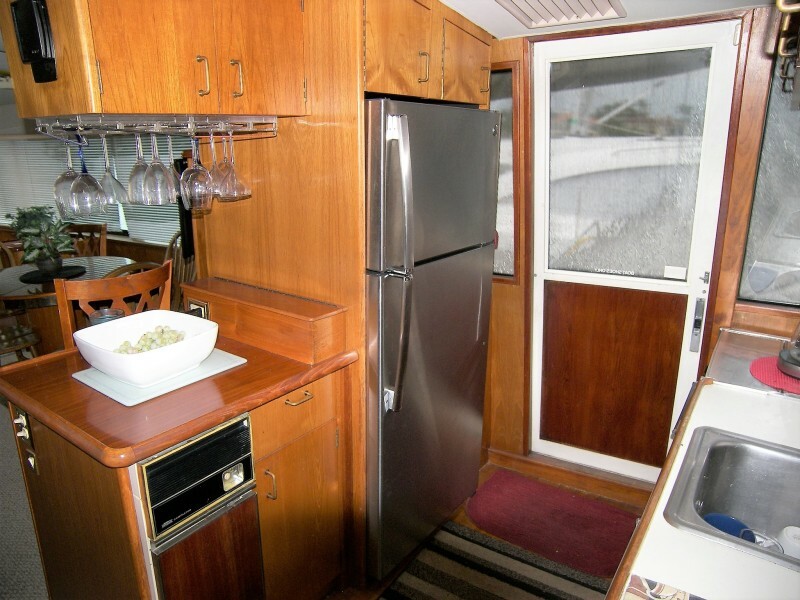 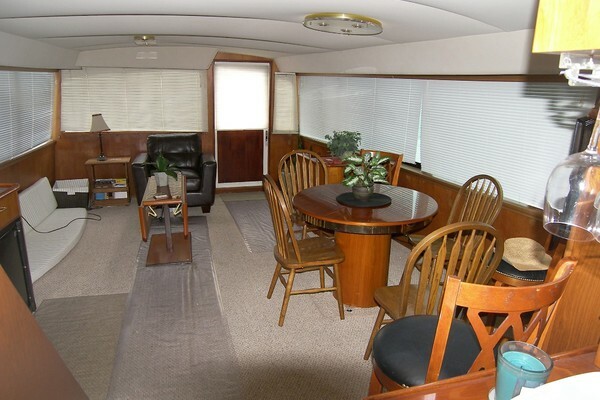 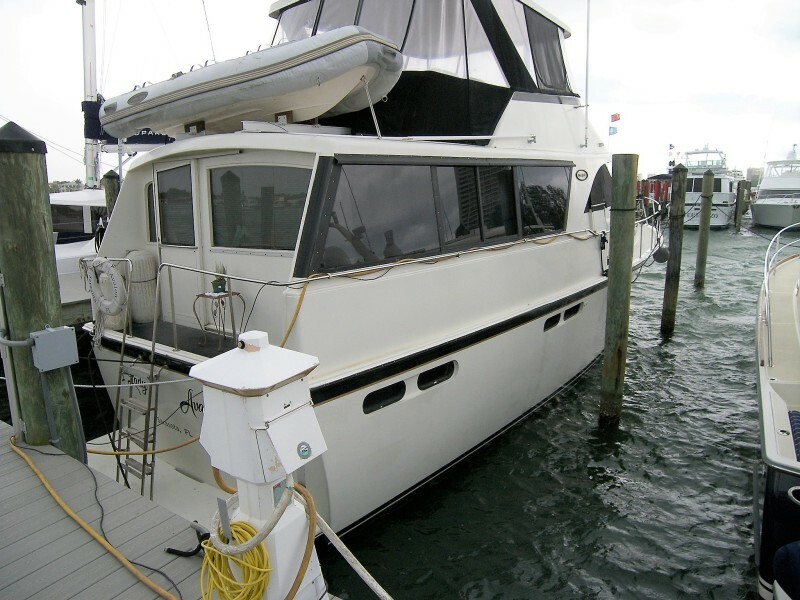 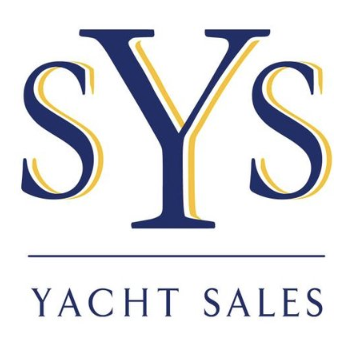 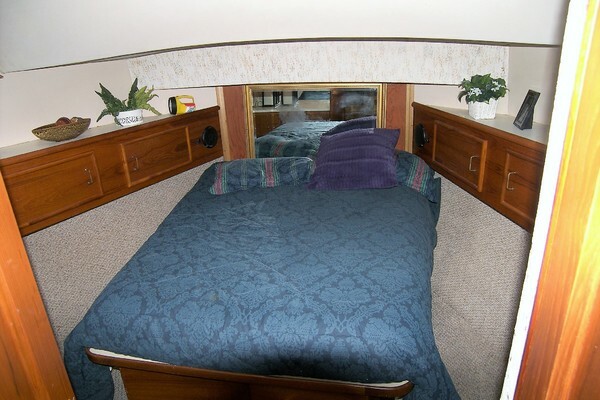 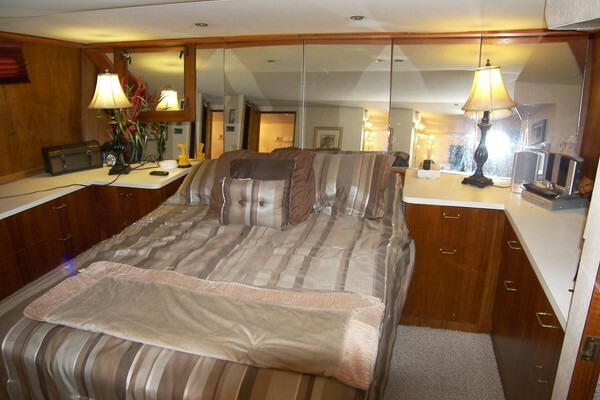 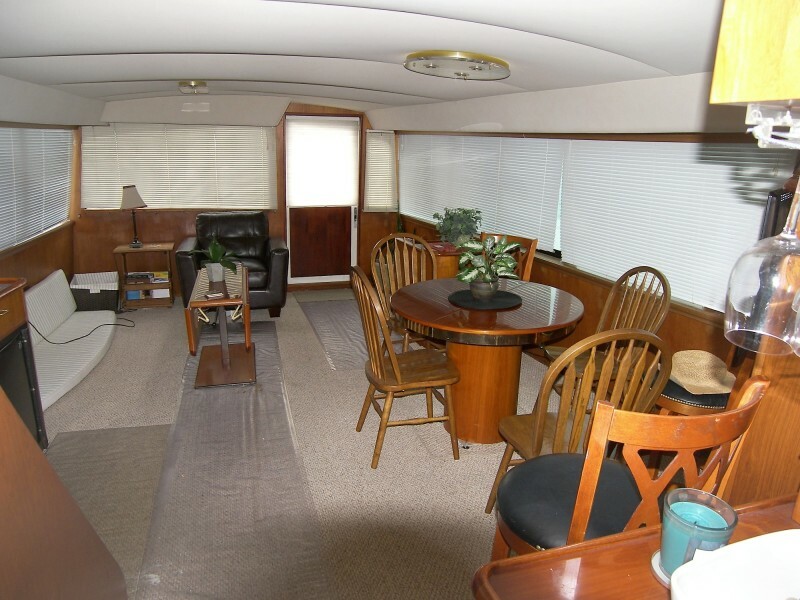 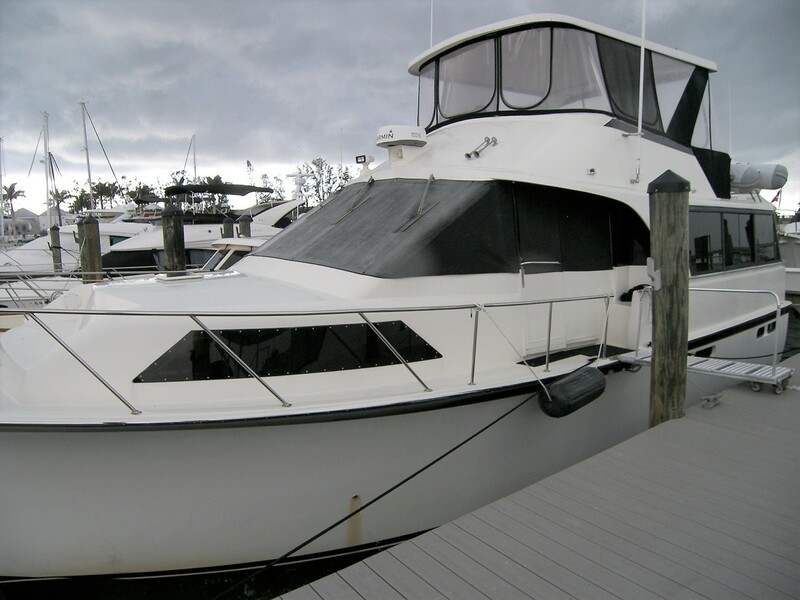 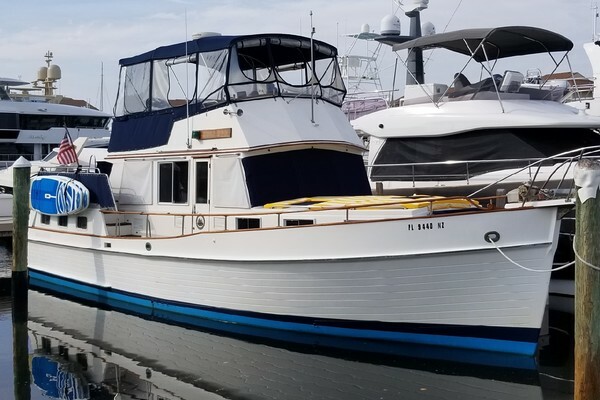 This 1998 48' Ocean Yachts 48 Motor Yacht makes a great live-aboard or coastal cruiser. 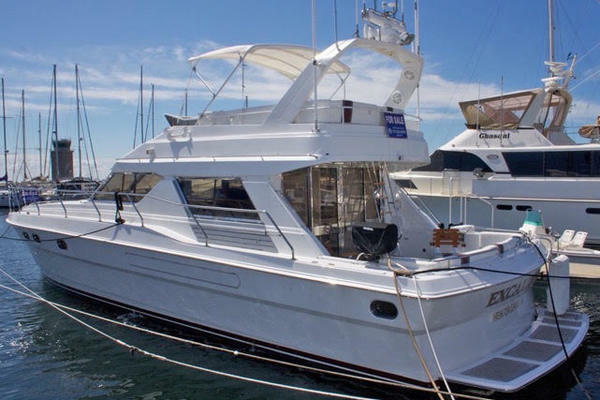 The 48 Motor Yacht is a true double-deck motor yacht rare in such a small boat with a full beam salon, three staterooms and three heads. 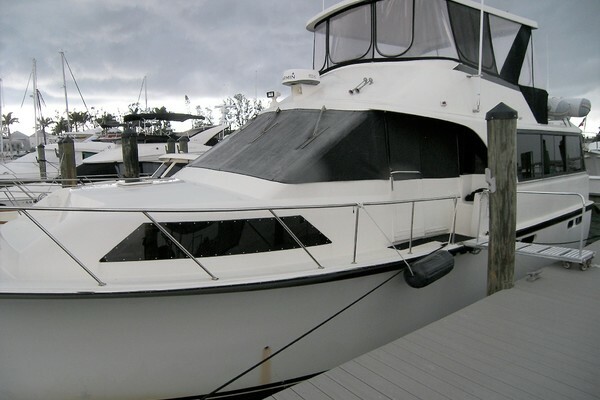 A Lot of Boat for the Money! 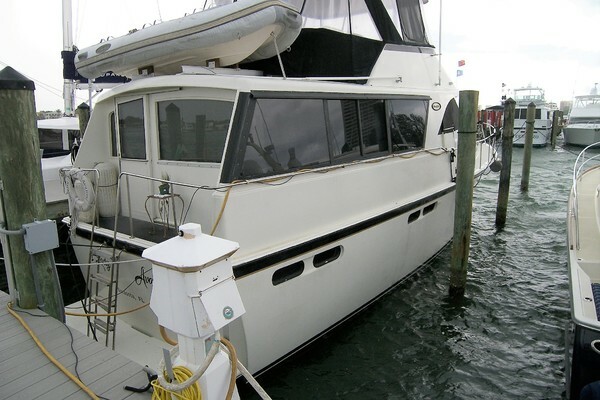 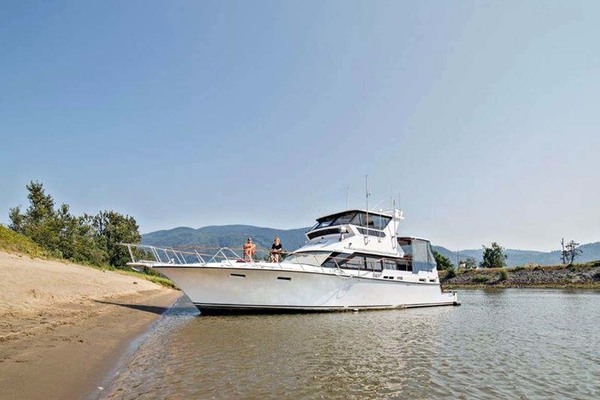 A lot of boat for the money the 48 Ocean MY makes a great live-aboard or coastal cruiser. 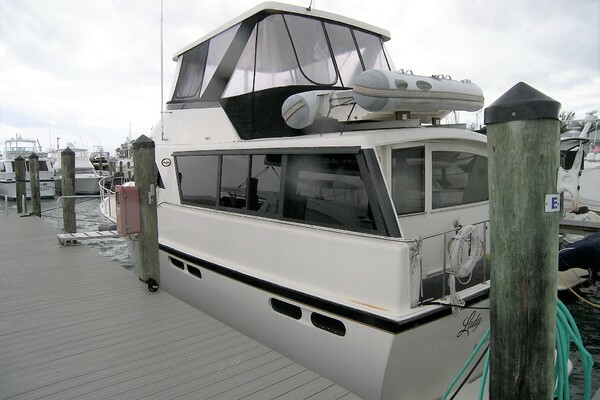 The 48 Motor Yacht is a true double-deck motor yacht rare in such a small boat with a full beam salon, three staterooms and three heads. 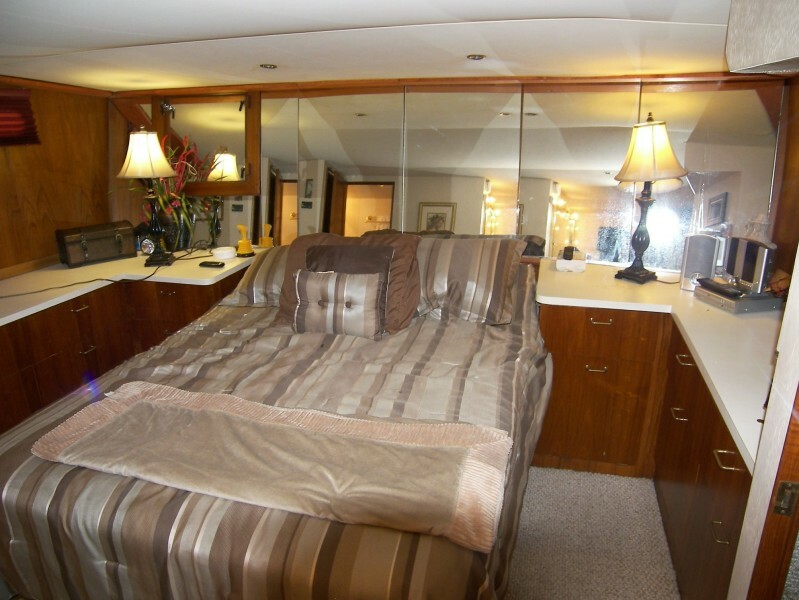 The accommodations are so expansive and well-designed that it’s hard to believe this is just a 48-footer. 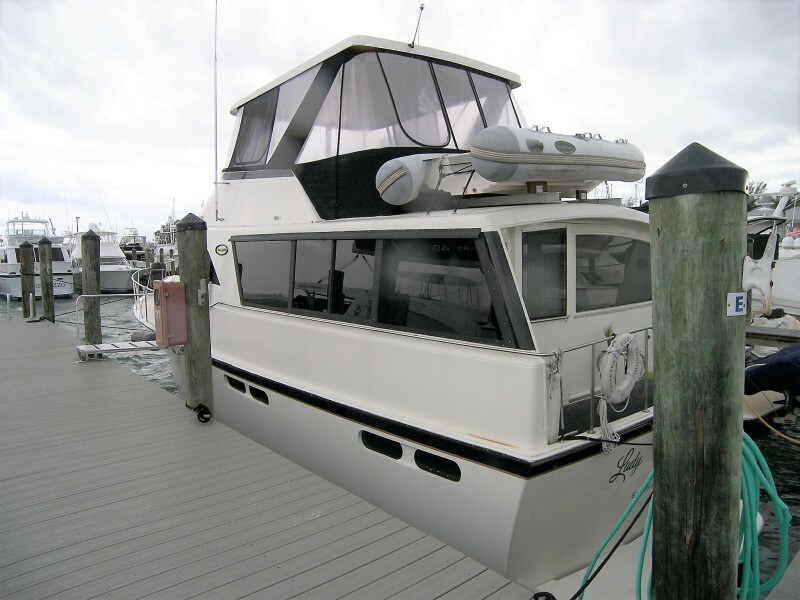 Both the galley and pilothouse are open to the extended salon where curved staircases access both the master stateroom and the flybridge. 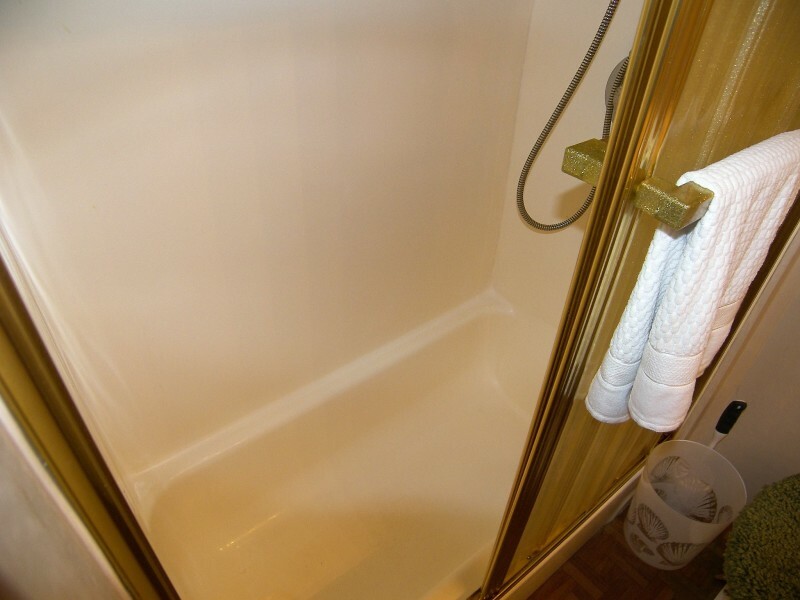 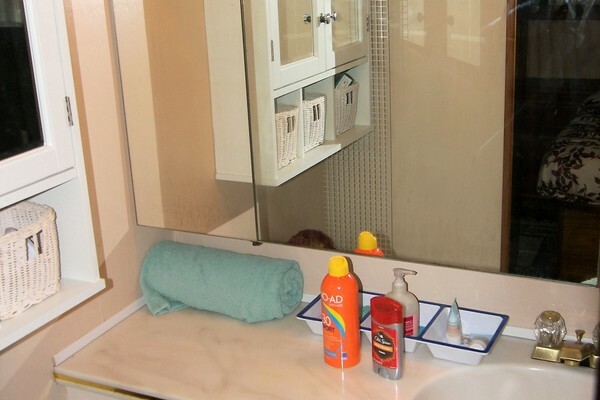 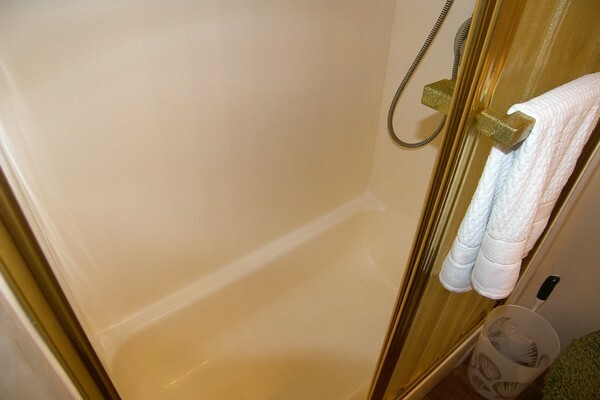 Each of the three heads has a separate stall shower. 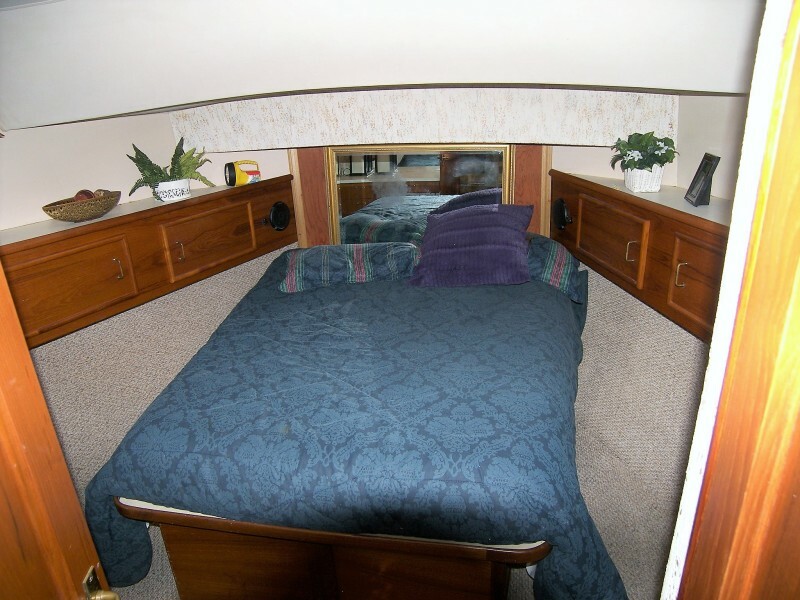 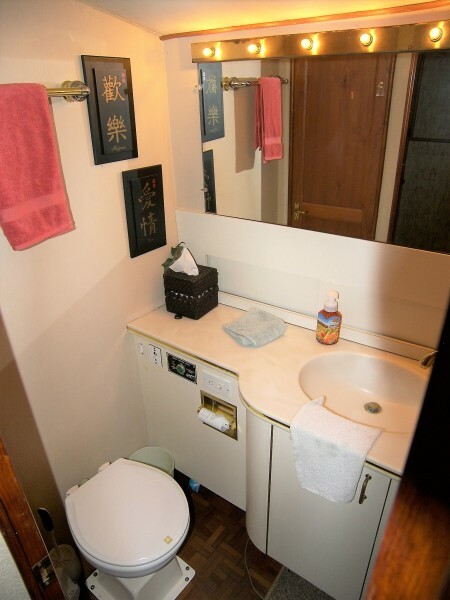 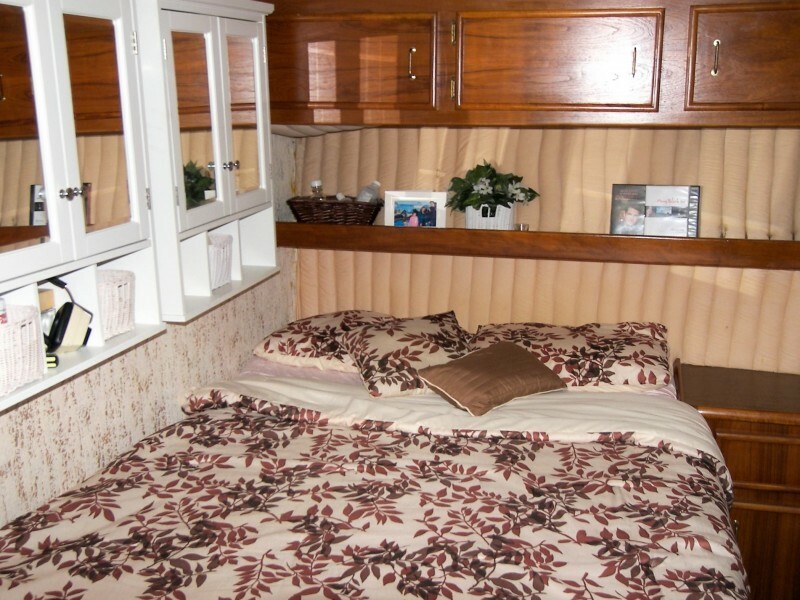 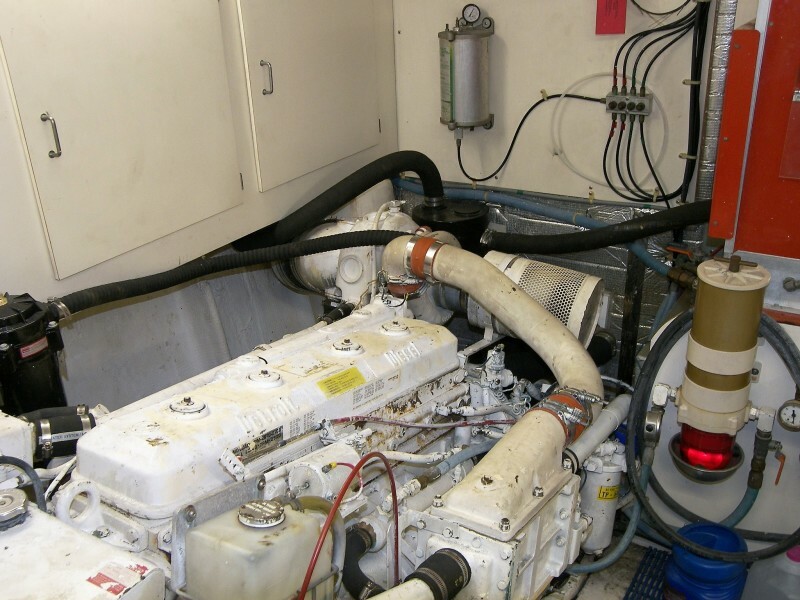 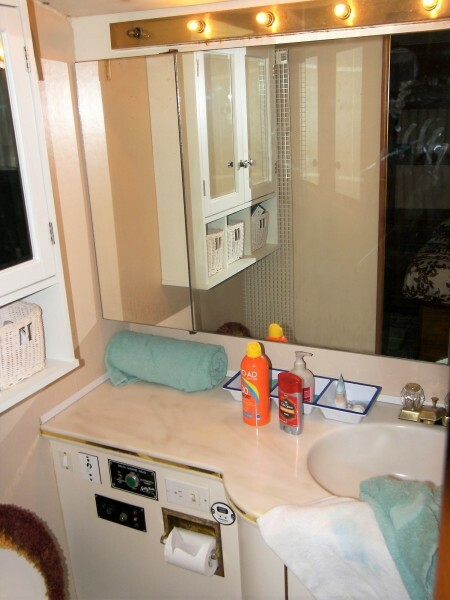 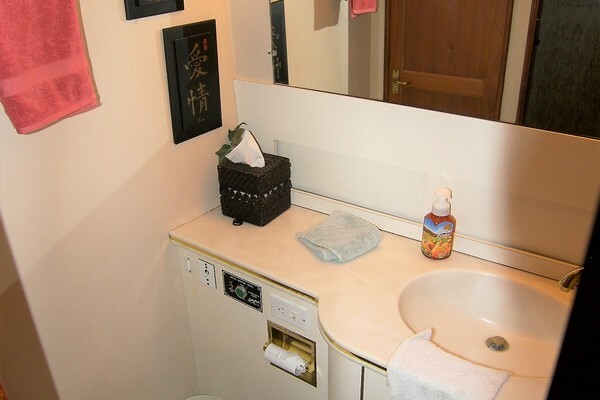 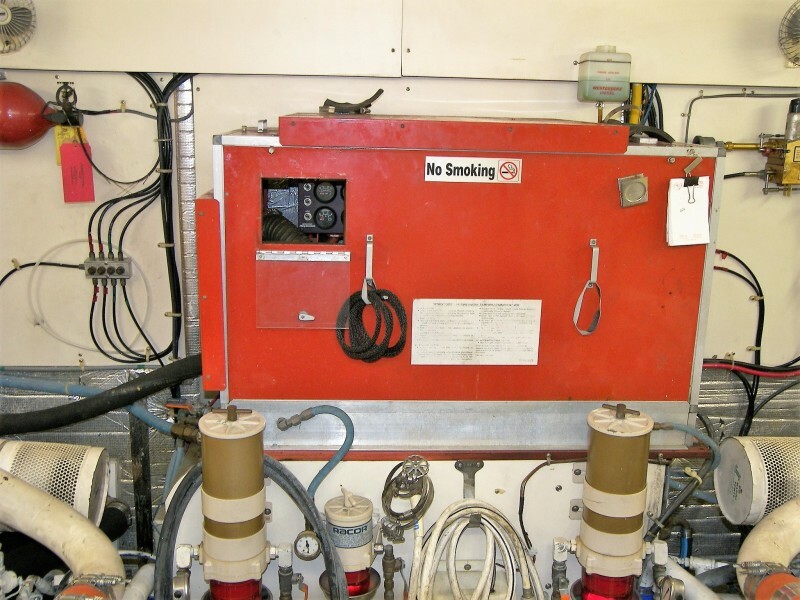 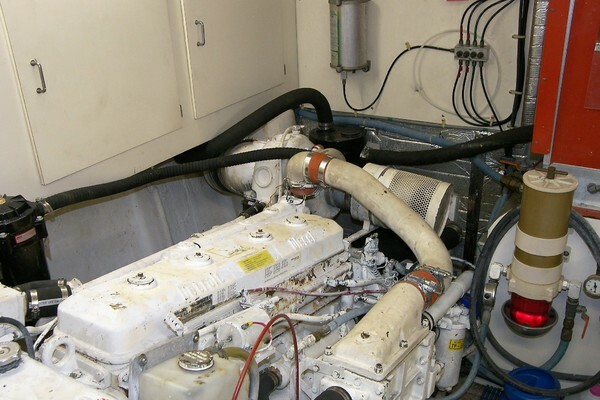 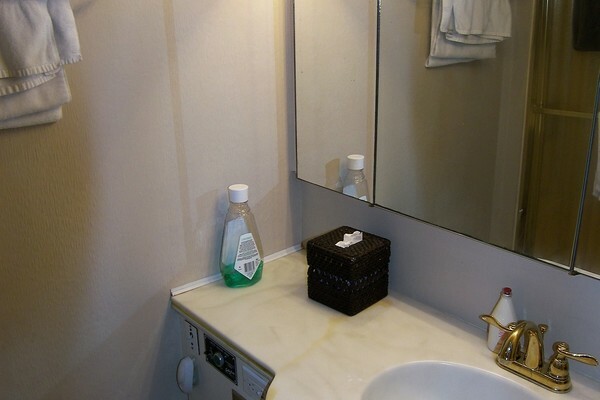 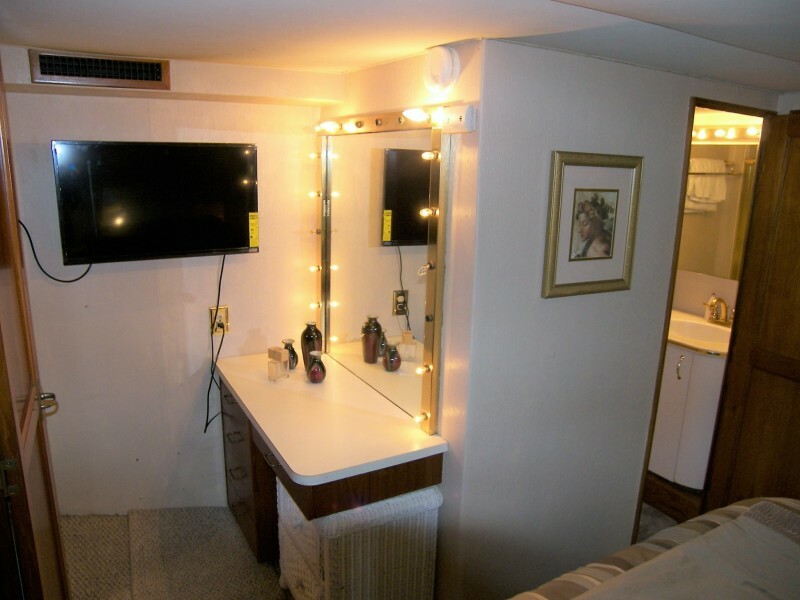 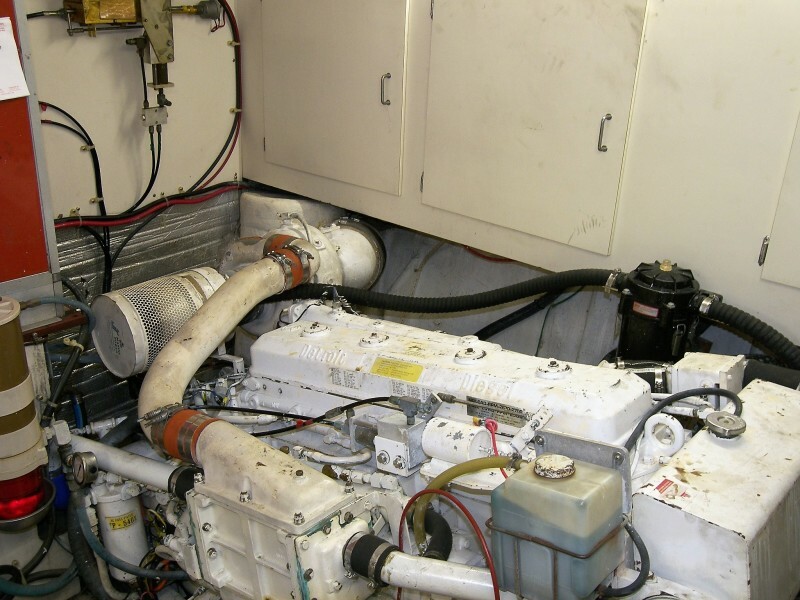 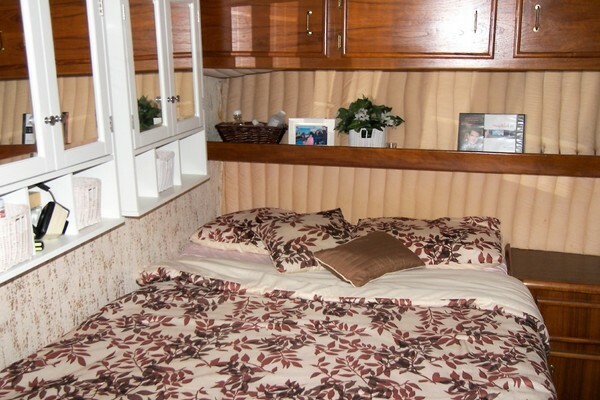 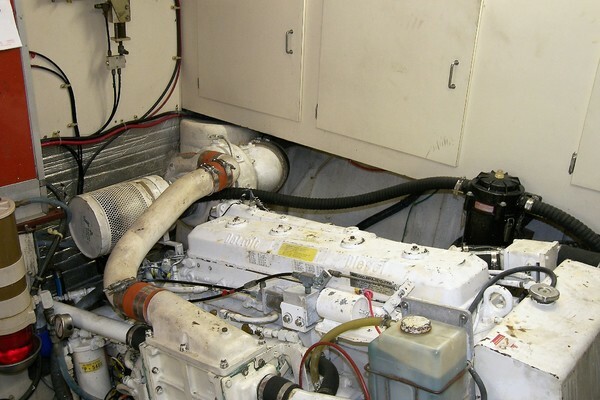 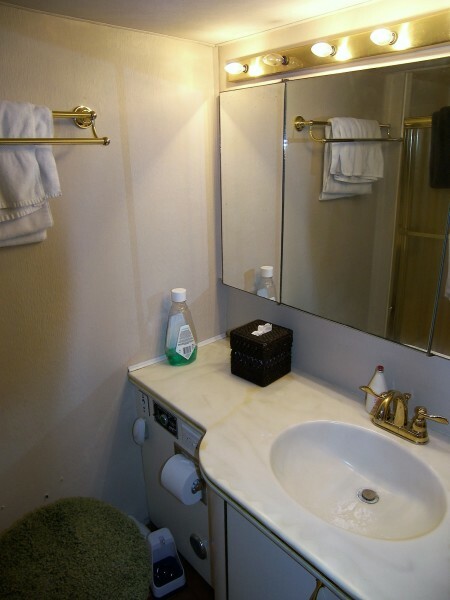 A door in the midships guest cabin provides direct access to the full standing headroom engine room. 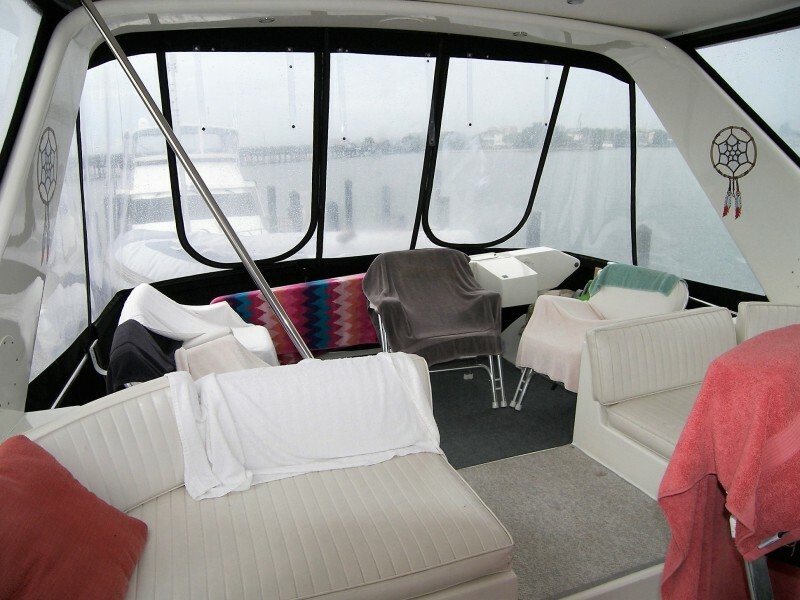 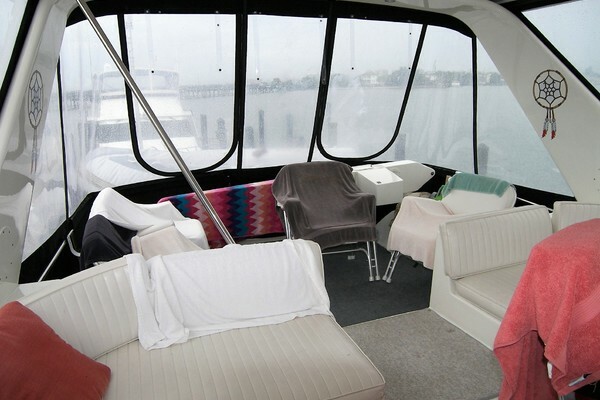 Topside, there is seating for a small crowd on the flybridge, while the aft deck is suitable for line handling. 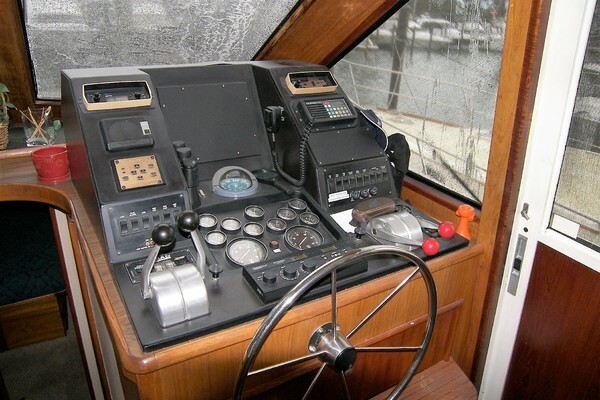 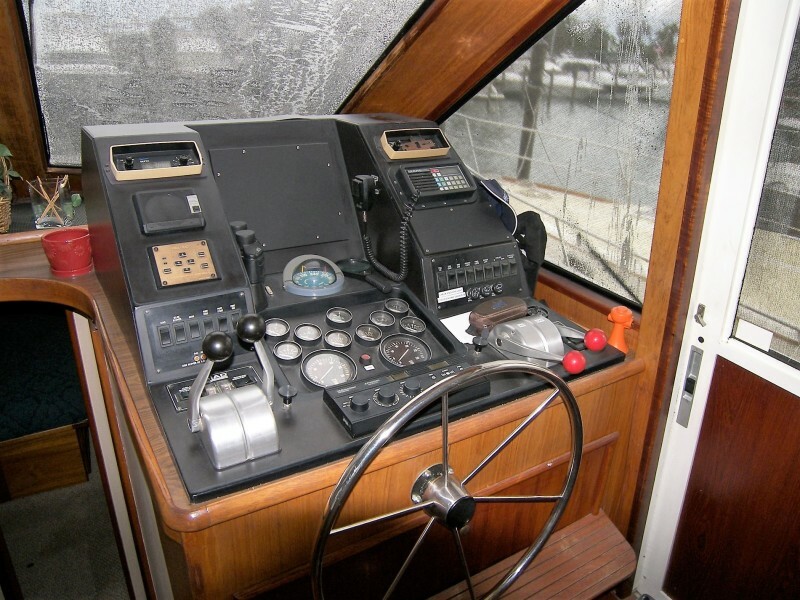 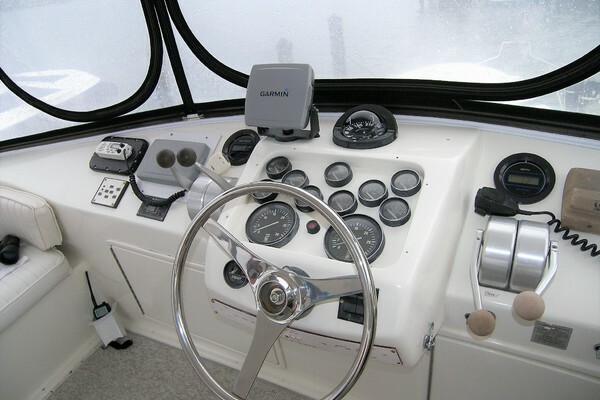 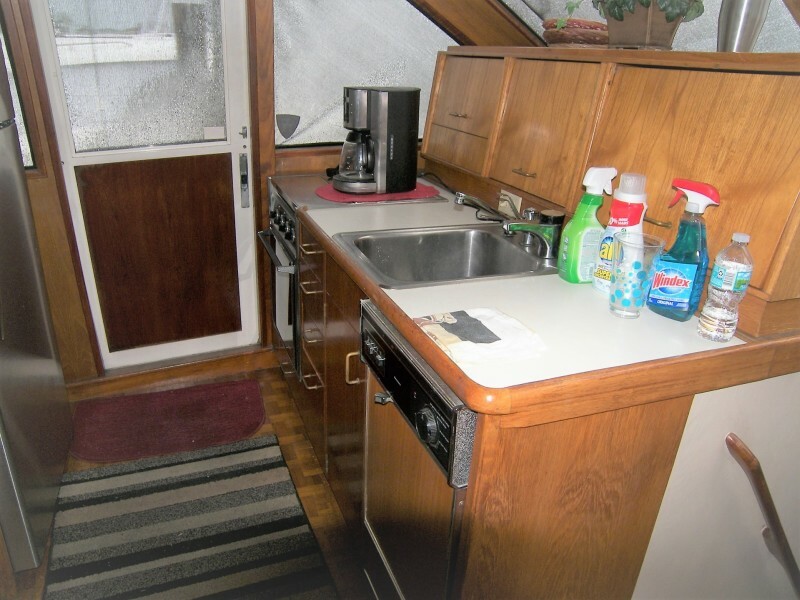 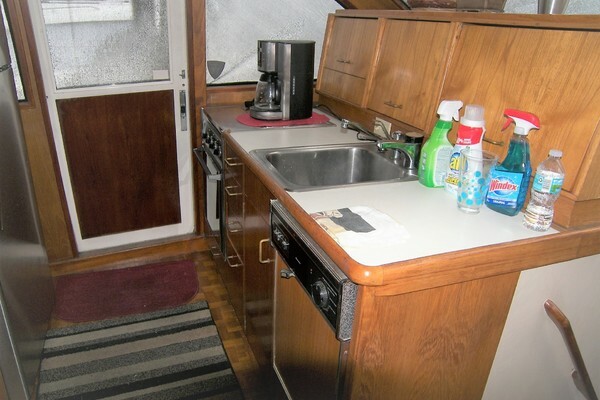 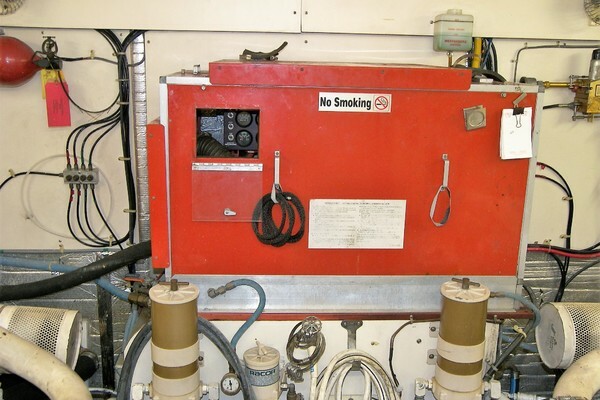 Additional features include a molded bow pulpit, central vacuum system, radar arch, and a foredeck bench seat. 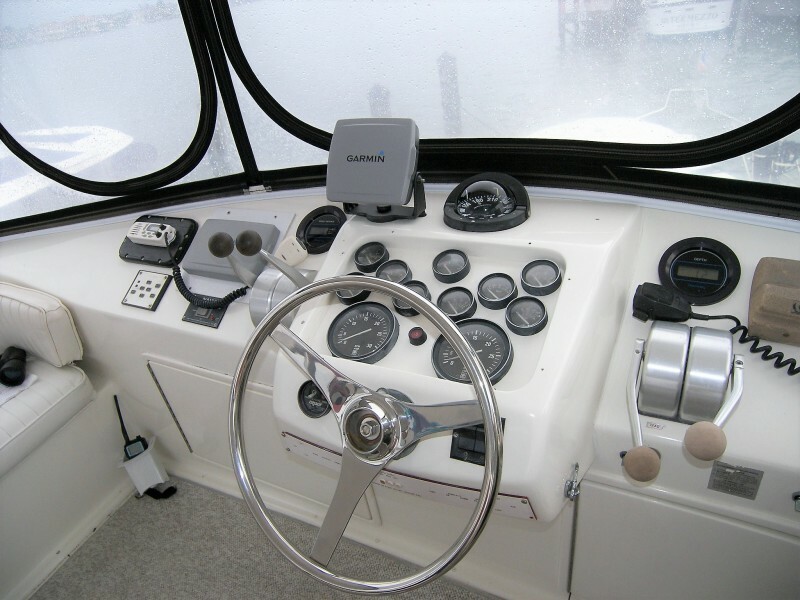 Lady Avalon is well equipped with electronics including a Garmin chart plotter, Robertson autopilot and even Naiad stabilizers!